Mule-side coffee? An enterprise in the foothills above Boise serves coffee under the sun, on the side of a trail, hauled on the back of a mule. I’m rounding the final miles of my weekend trail run looking forward to my post-run ritual – a newspaper and a coffee. As I drop off a rocky bend and turn a corner, I see a flow of cyclists pedaling uphill. In the distance, a mule grazes, and two men work at a table and portable stove, brewing up fresh coffee. 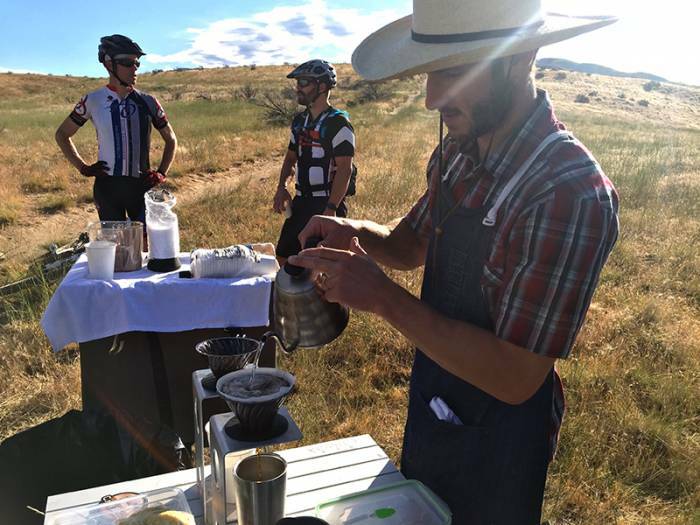 “Half cup, or full?” asks Matt Bishop, my trail-side barista. Stunned, I accept a half cup, stand in line, and wait for my joe. Three years ago, former Marine Capt. Matt Bishop moved his family to Boise so his wife could pursue her physician assistant degree. Like many who move to Boise, Bishop fell in love with its foothills. 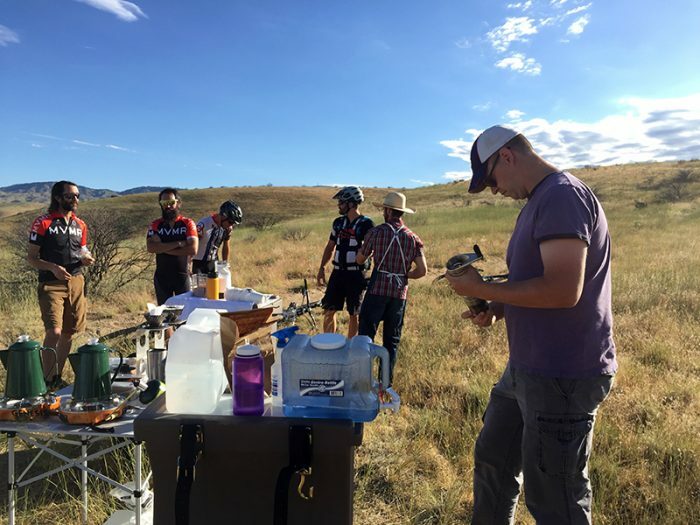 Tied with a passion for endurance sports, an idea was born. 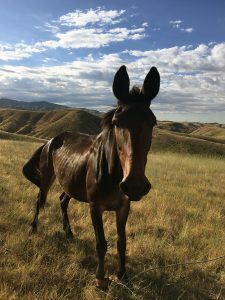 Bishop purchased his mule, named Richard, with the intent to provide mule-side service for hikers, runners, and cyclists in the Boise foothills. His original plan to sell coffee in the foothills became snared in a local and federal debate over how to address vending on public lands. In April, his permit request was rejected by the Bureau of Land Management and discussions to reconsider won’t likely resume until next summer. To remain below the Forest Service’s group permit threshold of 75 participants, Bishop caps distribution to 73 patrons. And by all accounts, it’s been received very well. As I continue down the trail, I pass throngs of cyclists, runners, and walkers, all heading up Bishop’s stand. It looks like he’ll reach capacity before his posted 11 a.m. cutoff. Bishop has been setting up his pop-up coffee stand, Café Mulé, in Boise’s Foothills for about a month now. Of course, serving the trail isn’t cheap. Bishop accepts donations through his website to help keep Richard fed and purchase fuel, filters, and grounds. But to make free foothills coffee a sustainable endeavor, Bishop is looking at expanding his online brand through apparel and coffee. You can follow Café Mulé’s next pop-up at cafemule.com, Facebook and Instagram @richardthemule. Or, if you’re like me, you can unexpectedly stumble across his station midway through your workout for some trail-angel caffeine.